Collectible coins can be found anywhere from Antique Stores to one's own pocket. Like any other antique, they provide a link to the past. These coins can be an investment as both collectibles or precious metals, but like all other financial investments, they carry risks. Each standard category includes several graduations. New collectible coins can be purchased directly from the United States Mint. Other sources include coin dealers, shows, conferences, in-person auctions, and other individual collectors. 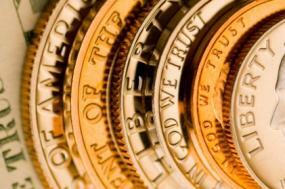 Coast to Coast Coins carries many different types of collectible coins. Whether you are looking for a 1652 Oak Tree shilling or a 1946 Walking Liberty half dollar you can round out your collection on this site. Collect.com is an auction site for collectors. They have an ever changing variety of coins, as well as other types of collectibles. The following are some of the most commonly collected coins. With the exception of the Morgan dollar, most of these coins can occasionally be found among circulated coins today. Indian Head Cents Indian Head cents were produced from 1859 to 1909 and designed by James Barton Longacre, an engraver for the Philadelphia Mint. The head shows a stylized Native American in a feathered headdress, depicting Liberty. The reverse side features the shield of the United States at the top, with an oak wreath surrounding the sides of the coin, and a bundle of arrows at the bottom. Mercury Dimes: Despite the name, the head on the Mercury dime is not in fact the Greco-Roman god Mercury, rather a winged head of Liberty. (The Phrygian hat with the wings closely resembles images of Mercury.) Adolph A. Weinman designed the Mercury dime, and the simplicity and elegance of the head and the column on the reverse make it one of the most attractive US coins. It was minted from 1916 to 1945. 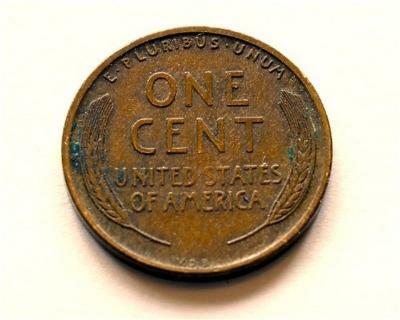 Wheat Cents: Wheat cents, officially known as Lincoln Wheat Ears cents, were minted from 1909 to 1958. The front shows the profile of Abraham Lincoln still in use on today's pennies, while the reverse shows two stalks of wheat. Both sides were designed by Victor David Brenner, a prolific designer and engraver. Buffalo Nickels: Buffalo nickels, also known as Indian head nickels, were produced from 1913 to 1938. The head features a profile of a Native American and the tail of an American bison. Both were designed by sculptor James Earle Fraser, famous for this design and for his "End of the Trail" sculpture. Morgan Dollars: Morgan silver dollars were minted from 1878 to 1904, and again for one year in 1921. After the discovery of vast quantities of silver in the American west, the US government ordered the Treasury Department to purchase tons of silver and create coins with it in an attempt to keep the price up. The Morgan dollars, named after the designer George T. Morgan, were one of these projects. Because of their quantity of silver, many of these coins were melted down, thus raising the price for collectors. Learning to identify your coins is an important part of being a collector. One of the more important items that you can have is a good coin identification guide. Make sure that the images in the book are large and that you can see the details easily. Check the way the descriptions are written; you want them to be easy to understand and helpful. For coins from all over the world, the Krause Standard Catalog of World Coins is one of the most authoritative. For United States coins, the Coin World and Blackbook price guides are standards. Try to do a side by side comparison. Authentic coins will differ in color, size, weight, and feel from fakes. Look for signs of wear. While fakes may have some wear they will usually not have the same signs of wear as an older coin. Look for differences from an authentic coin. As you study coins more you will be able to easily spot a fake. Finally, as for a certificate of authenticity from the dealer. This guarantees that you coin is as described. Always handle coins with clean hands or, better yet, while wearing cotton gloves. Even recently washed hands can leave fingerprints, and fingerprints carry oils that can corrode coins. Always hold coins by the edges rather than the faces, and when you put them down, put them down on a soft piece of cloth to avoid scratches. Unless you know exactly what you're doing, be careful about cleaning coins, since this can actually reduce their value. If you do want to clean a coin, use mild soap and water and do not scrub it. When you're finished, pat it dry with a soft towel. Store coins in cool, dry places, and with some kind of protective cover. You can purchase materials specifically designed for storing coins at coin dealers, hobby shops, and even some bookstores. Collecting coins can be a good investment and a fascinating hobby.